Preface. List of Contributors. Aspects of Environmental Contamination. Ethical aspects of environmental protection (B. Bürgenmeier). Atmospheric Pollution. Effects of air pollutants on man, animals, plants and buildings: mechanisms and dose-response effects (S. Hippeli, E.F. Elstner). Effects of air pollution on the condition of sessile oak forests in Hungary (I. Mészáros, I. Módy, M. Marschall). Long term effects of acid deposition: implications on the performance of high level nuclear waste repositories (J. Nebot, J. Bruno). On character of ejection of radionuclides out of earth surface (I.V. Melikhov, &Zcaron;. Vukovi&cacute;, V. Šipka). Soils and Contamination from Mining Uses. Trace elements dynamics in soils and aquifers of western Switzerland (O. Atteia, J.-C. Védy, A. Parriaux). Leaching behaviour of granulated non-ferrous metal slags (F.M.G. Tack, P.H. Masscheleyn, M.G. Verloo). Environmental impact of mining activities on the Hermioni area, Greece (S.P. Varnavas, A.G. Panagos, K.G. Kritsotakis). Human Impacts on Soils by Wastes and Contaminated Dredged Material Uses. Beneficial and toxic effects of chromium in plants: solution culture, pot and field studies (J. Barceló et al.). Interactive effects of the application of different Cd forms and an acidifying agent on plant available metals and postharvest soil extractability (R. Nogales et al.). Evolution of heavy metal species in leachates and in the solid phase during composting of municipal solid wastes (P. Prudent, C. Massiani, O. Thomas). Effect of several industrial wastes on soil respiratory activity (E. Martí et al.). Long-term evaluation of plants and animals colonizing contaminated dredged material placed in upland and wetland environments (D.L. Brandon et al.). Contaminated aquatic sediments and waste sites as toxic chemical time bombs (U. Förstner). The importance of biological testing in the assessment of metal contamination and site remediation (C.R. Lee et al.). Inland Waters. Recovery from eutrophic to oligotrophic states in lakes: role of sediments (D. Span et al.). Dynamics of the autochthonous and contaminant bacterial colonization of lakes (lake of Cadagno and lake of Lugano as model systems) (R. Peduzzi, A. Demarta, M. Tonolla). The role of the bacterial community in the radionuclide transfers in freshwater ecosystems (F. Hambuckers-Berhin, A. Hambuckers, J. Remacle). Effects of plants on the accumulation of Zn, Pb, Cu and Cd in sediments of the Tagus estuary salt marshes, Portugal (I. Caçador, C. Vale, F. Catarino). Studies on heavy metals of periphyton and its host plant Phragmites australis (Cav.) Trien ex Steudel in shallow lakes (G. Lakatos). Origin and pathways of cadmium contamination in the Gironde estuary, Garonne river and tributaries (J.M. Jouanneau, Y. Lapaquellerie, C. Latouche). Synthesis and Methods. Mercury pollution and cycling in aquatic systems (F.M. D'Itri). Analysis of selenium (M. Sager). Selenium occurrence and ecology (M. Sager). Author Index. Subject Index. 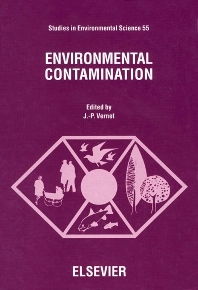 This book deals with various aspects of environmental contamination. One of the fields considered in this work is atmospheric pollution. This has become a major problem of our time, and could soon develop into a scandal through the overestimation of the impact of greenhouse gases such as ozone, NOx or SO2, which allows their use as political instruments. Another growing field of importance covers the fundamental questions posed by the problem of soils and their interaction with waste from human activities, eg. sterile mining waste, sewage sludge, and contaminated dredged material. How do these different elements react and how tolerant can our system be towards them? This publication, containing a selection of the most important work presented at the 5th International Conference on Environmental Contamination, reflects some aspects of the present state of research and our society's dominant preoccupations.